Summary: Bollworm management in Bt cotton has changed due to resistance over the last few years. This talk addresses some of the issues growers are currently facing managing bollworms in Bt cotton. 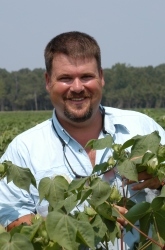 It outlines what to do and when to do to maximize economic returns in Mid-southern cotton.